Knowing where to explore in the Vietnamese countryside can be difficult without a guide. 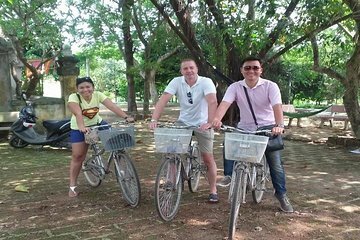 This tour removes the guesswork as your guide takes you to the Tay Phuong Pagoda, Duong Lam village, Mia Pagoda, and more. Learn about the tucked-away attractions and explore by bicycle—the views are even more beautiful without a car window in the way.